The DualShock controller design is one of the most iconic pieces of hardware in video game history. Playstation fans will be excited to hear the news that Sony has found a way for their Xperia mobile devices to work natively with their Playstation 3 DualShock 3 controllers over Bluetooth. 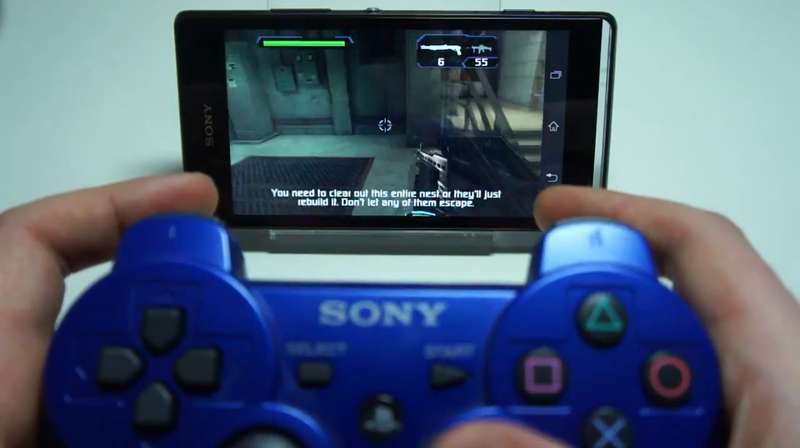 Sony has developed a wizard that allows the DualShock and Xperia device to connect via USB and once paired, the controller can be used to control games wirelessly. This means you can use your phone on your big screen via HDMI and sit on your couch with the controller to enjoy your game. There’s no timetable on the rollout of this feature, but you can expect Sony to push this as a big feature for their devices once they get it 100% working.